CONTENT ADVISORY: Suitable for teens and adults. MAMMA MIA! was originally produced in London by: Judy Cramer, Richard East and Björn Ulvaeus for Littlestar in association with Universal. * Prices subject to change based on ticket availability. 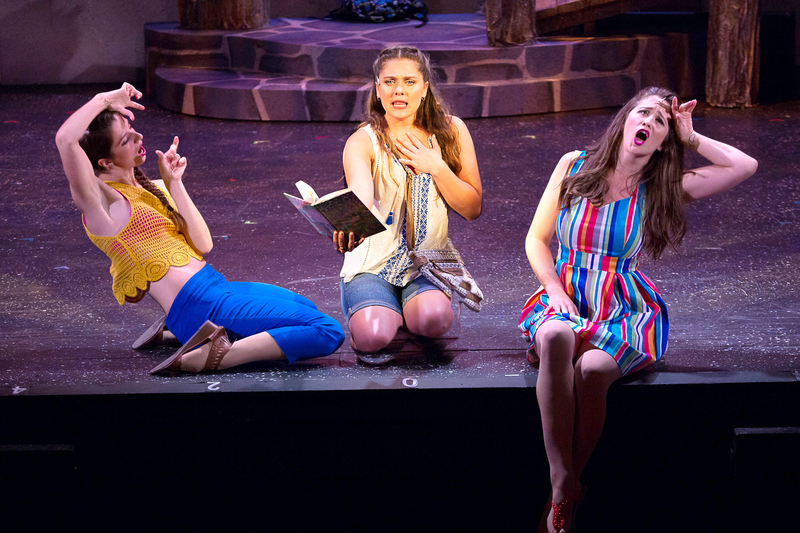 Jeannette Bayardelle (Rosie), Erica Mansfield (Donna), and Tari Kelly (Tanya) in MAMMA MIA! 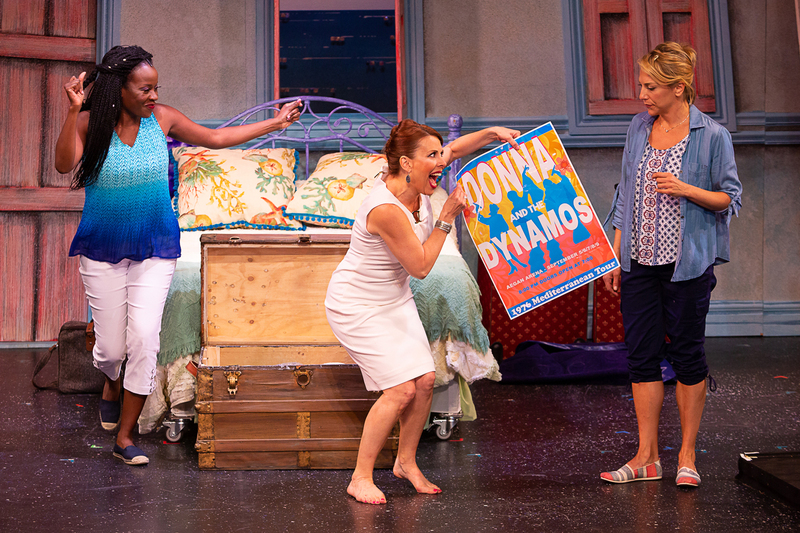 now playing at Theatre By The Sea thru July 21, 2018. Photos by Steven Richard Photography. 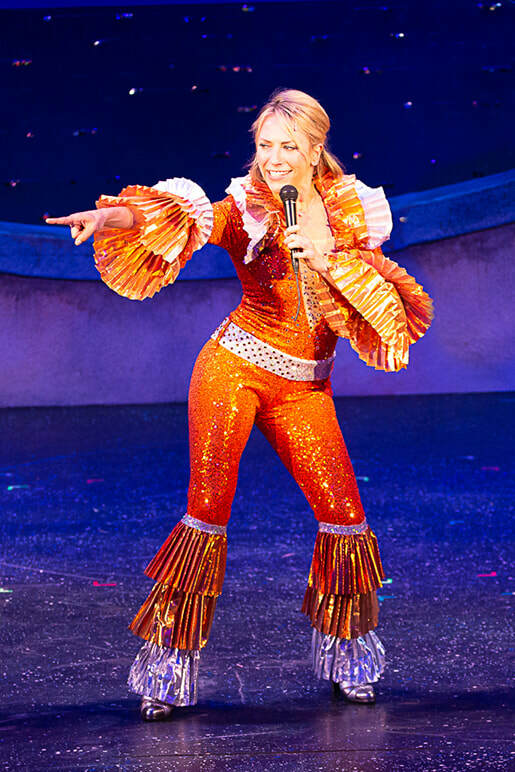 Erica Mansfield as Donna in MAMMA MIA! now playing at Theatre By The Sea thru July 21, 2018. Photos by Steven Richard Photography. 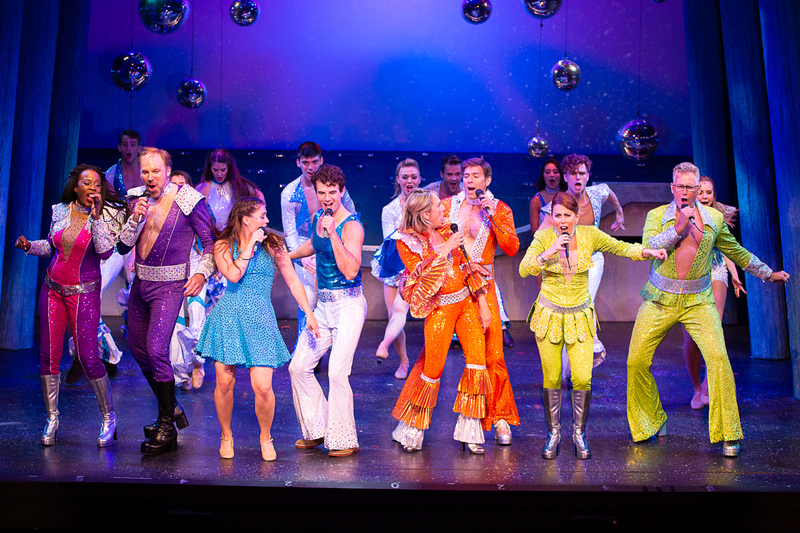 The cast of MAMMA MIA! now playing at Theatre By The Sea thru July 21, 2018. Photos by Steven Richard Photography. 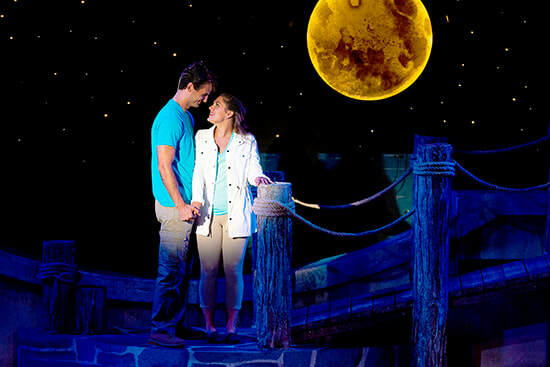 David Elder (Sam) and Erica Mansfield (Donna) in MAMMA MIA! now playing at Theatre By The Sea thru July 21, 2018. Photos by Steven Richard Photography. 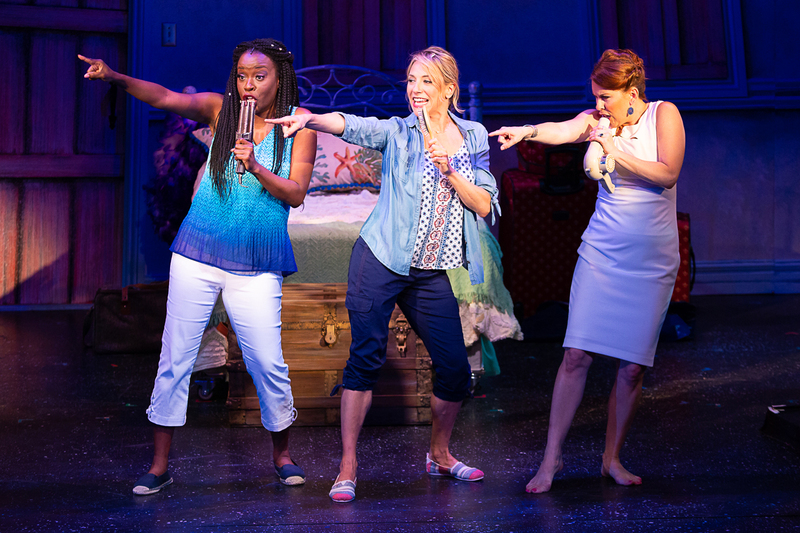 Jeannette Bayardelle (Rosie), Tari Kelly (Tanya), and Erica Mansfield (Donna) in MAMMA MIA! 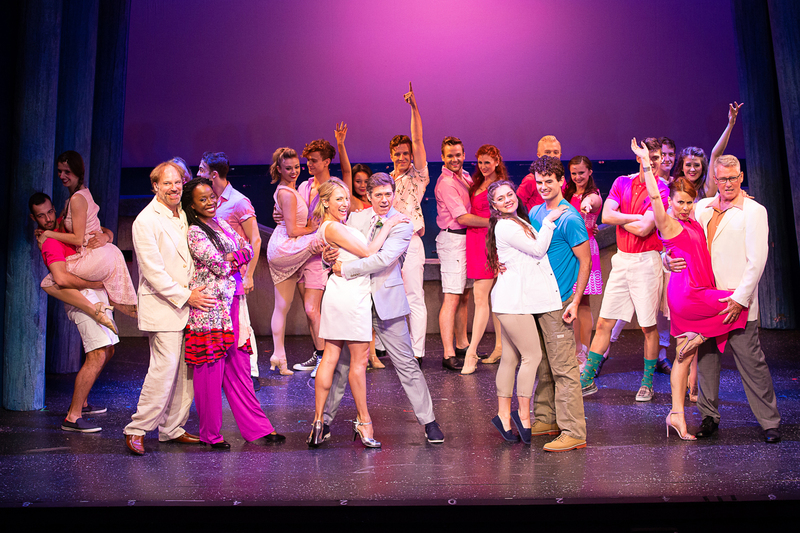 now playing at Theatre By The Sea thru July 21, 2018. Photos by Steven Richard Photography. 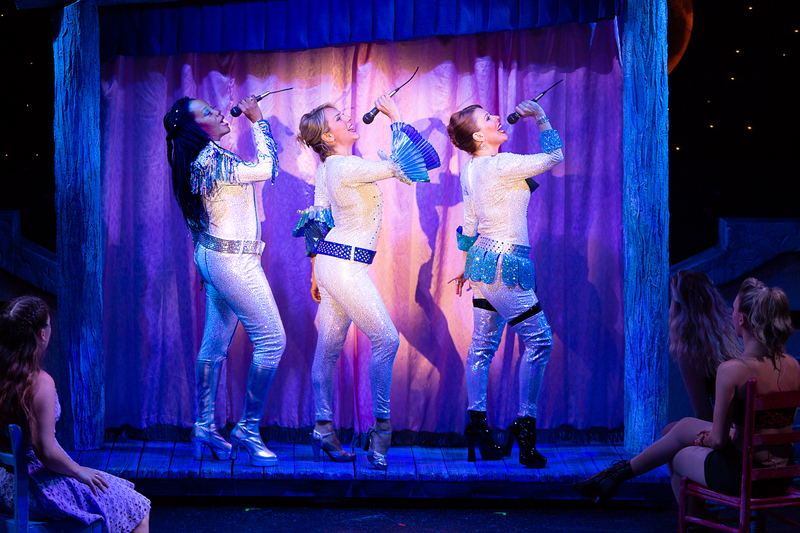 Nick Walker Jones (Sky) and Malia Monk (Sophie) in MAMMA MIA! 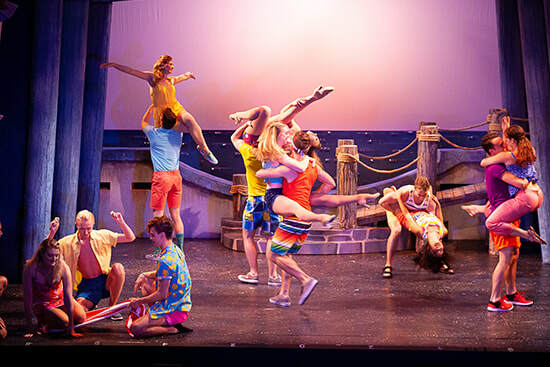 now playing at Theatre By The Sea thru July 21, 2018. Photos by Steven Richard Photography. 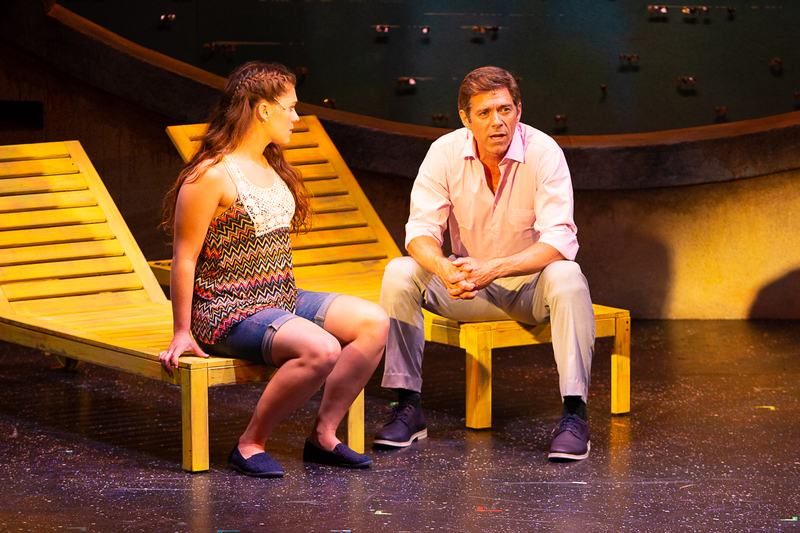 Malia Monk (Sophie) and David Elder (Sam) in MAMMA MIA! now playing at Theatre By The Sea thru July 21, 2018. Photos by Steven Richard Photography. 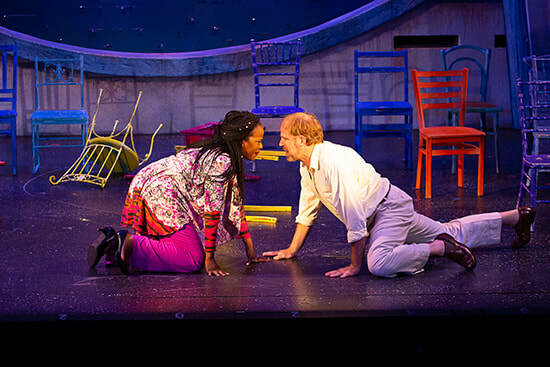 Jeannette Bayardelle (Rosie) and Al Bundonis (Bill) in MAMMA MIA! now playing at Theatre By The Sea thru July 21, 2018. Photos by Steven Richard Photography. Christopher Carl (Harry) and Erica Mansfield (Donna) in MAMMA MIA! now playing at Theatre By The Sea thru July 21, 2018. Photos by Steven Richard Photography. Tari Kelly (Tanya) and Steven Del Col (Pepper) in MAMMA MIA! now playing at Theatre By The Sea thru July 21, 2018. Photos by Steven Richard Photography. Malia Monk (Sophie) and Nick Walker Jones (Sky) in MAMMA MIA! now playing at Theatre By The Sea thru July 21, 2018. Photos by Steven Richard Photography. Janelle Yull (Ali), Malia Monk (Sophie), and Melissa Jones (Lisa) in MAMMA MIA! now playing at Theatre By The Sea thru July 21, 2018. Photos by Steven Richard Photography.